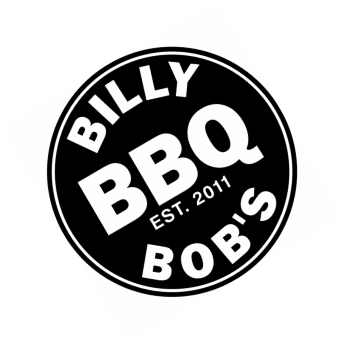 35 Fairmont Ave. Poughkeepsie, NY 12603 - THE BEST DAMN BARBECUE!!!! Billy Bob’s is a place where we want you to feel comfortable. We want you to join us for some good food and good drinks. And most of all we want you to have FUN!!! Well, we're here to tell you we think ours is the BEST! And we’ll always give you our BEST! Our executive chef, Chef Bobby, has always had a deep passion for barbecue. He is a 2004 Culinary Institute of America graduate. Bobby has spent time throughout the United States and Puerto Rico perfecting his trade. His passion has always been with barbecue and you can taste that love in every dish we serve. All of our barbecued meats are cooked in a smoker. We use the low and slow method to produce that tender, moist, delicious smokey flavor. Our briskets cook up to 14 hrs. You can’t rush barbecue! We make our own dry rub, and all of our BBQ sauces are made fresh. Nothing from a bottle. That wouldn’t be good enough for us….. and therefore, it’s not good enough for you! Remember, barbecue food is comfort food…. So make yourself comfortable.